I find myself on AA flight #3 headed to LAX from NY’s JFK. Today marks the first day of Aircell’s Gogo inflight service going live for the masses. It will be available on flights from NYC to LA, Miami and San Francisco. The 8AM flight to Miami from JFK is not a 767-200, so those going south won’t be privy to Aircell’s Gogo service. The flight is full from what I’m told and Aircell had plenty of people on hand at the gate to promote the service. Exactly how many folks will utilize the service is unknown at this point. I’ll be using my MacBook Pro, iPhone 3G and T-Mobile BlackBerry Curve along with one other smartphone that’s Wi-Fi enabled. I’m in economy so it’s going to be a tight squeeze. Hopefully the lady sitting in front of me won’t lean her seat back, but that’s doubtful. I’ve already got my laptop on my lap as is and it’s not pleasant. I wish one of the manufacturers who I requested a sub-notebook/netbook from had gotten back to me. I’m looking at you Lenovo, HP, Asus, MSI and Dell. 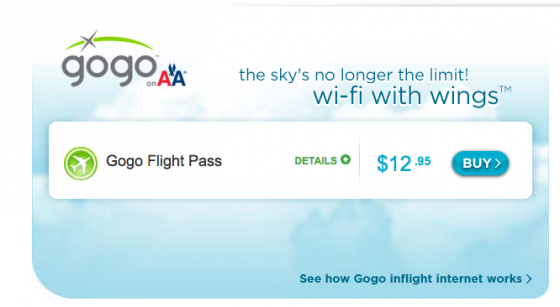 The service unavailable splash screen reveals that Gogo won’t work below 10,000 feet and is only available within the continental U.S. I will individually test all my devices and then simultaneously to see what sort of bandwidth I’m getting. Speed tests after the jump. 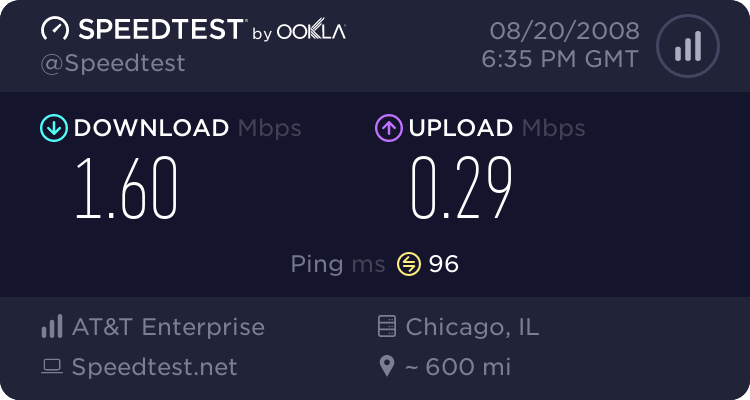 So far Speedtest.net is giving me 1,748 kbps down and roughly 290kbps up. Another test reveals similar results. This one’s not so good. One more test on the laptop and I’ll start testing my iPhone 3G and BlackBerry Curve. So far so good, folks. The aircrafts are 767s and not 727s. If you’re on a flight for more than three hours than I think $13 is worth it. The only caveat here is that American Airlines only supports cigarette lighter adapters, so I’m screwed in about an hour when my battery dies. FastMac was supposed to send me an extended battery weeks ago, but they’ve failed to do so. Virgin America on the other hand has normal outlets. I just tried out the service on my iPhone 3G and it worked well. You have to sign off from each device to export the service to another. It’s a pain, but there for a reason. I’ll get video or time how long it takes to download an app from the app store. I’m currently on Skype, AIM, and MSN messenger. I tried calling someone over VoIP on Skype but it dropped after five seconds. Service has been good so far. There were a few spots where the connection was sluggish, but otherwise it’s been rock solid. I’m currently watching Doug’s review on YouTube and there’s no lag for a five-minute video. and here’s a question, feel free to write about it, if you were to commit a crime, lets say hack something stupid via the wi-fi on flight, where would they extradite you to? We’ll get the answer soon. Also, I know you’re all wondering how they’re blocking VoIP calls. We’ll have that answer soon. Oh great! The f*cking stewardess flight attendant just spilled water on my laptop! My laptop is going dark in less than 10, so I’m switching to iPhone 3G and/or BlackBerry Curve. I’ll be back shortly, folks. Leave you questions in comments and I’ll do my best to get them answered. 4:18PM EST – Switched from my dead laptop to my BB. The switchover was easy but I didn’t get a connection for a few minutes. E-mail, browser and BB messenger are all working flawlessly. To answer your question about VoIP calls I just spoke with Jack Blumenstein, the president and ceo of Aircell. They’ve restricted the packets that enable voip calls but clearly haven’t blocked skype altogether. Connections can be made that may or may not last a few seconds but the audio then becomes garbled. Just made a call over UMA on my BlackBerry to my brother and it went through. Lasted about a minute. Will get a wav file to post on the site. The connection is now garbled. To all the commenters who are telling me to plug in: All outlets need cig lighter adapters. Feh. 6:03PM EST – Brief layover in LAX before jumping on a flight back. Leave questions in comments. 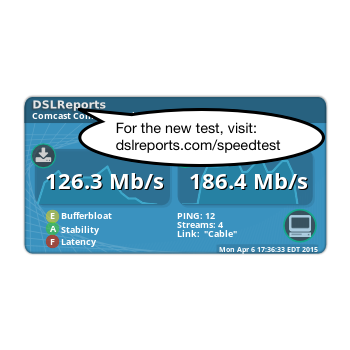 6:31PM EST – Bandwidth is prioritized, so if you’re juicing the network by watching video or downloading then your connection gets slower but it won’t stop and other passenger won’t be affected. One passenger was watching basebll games through sling on the outbound flight. Just left LAX and I’m back online. I have roughly one hour of laptop juice left, so please feel free to leave a comment or AIM me at crunchtips. Going to watch some video on fancast and see what it does to my bandwidth. Currently watching this episode of Family Guy. Bandwidth is holding steady. Guess there aren’t too many people using Gogo right now. RE: VPN. Folks from Aircell are telling me that it’s up to your IT department based on how strong the Wi-Fi connection needs to be. I know a couple AA execs were connected over VPN on the outbound flight from JFK to LAX. Do you guys want to know anything else? Facebook chatting with the boss, MA, now. Just ran four fancast streams and bandwidth went down a bit. Running three Hulu streams with no noticeable lag on any of the streams. Trying to Bit Torrent, but I’ve got zilch going down or up. Spoke too soon. My streams are getting choppy. I have roughly 15 minutes left of juice on my laptop. Better get your questions in now. Torrenting a 233MB file now with download speeds ranging from 0B/s to 3.1Kbps with nothing uploading. Well, that’s it for me, folks. My laptop is about to kick the can, so I’ll be switching over to my BlackBerry/iPhone 3G for the remainder of the flight. Feel free to email me at peter at crunchgear dot com with any questions and I’ll do my best to get them answered.